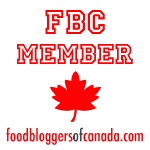 I am a Vancouver-based food blogger, writer and recipe developer of English origin with a passion for local food. Having been vegetarian since the age of four and vegan for the last six years, my focus is on showing that plant-based eating can be healthy and simple as well as delicious. There’s nothing I love more than showing how easy it is to create something beautiful from plants! Food for me is a passion. I chuckle when people say how restrictive my plant-based diet must be, because there is huge variety in it. In fact, I’m probably more adventurous with food now than before I was vegan. I’m the type who wakes up in the middle of the night thinking about new flavour combinations like orange and geranium, or maple and rosemary. Here, you’ll find a collection of inspiring whole food recipes that are created and tested by me. All are naturally vegan, gluten-free and refined sugar-free. I’m a firm believer in the power of whole foods and have found them to be health-enhancing and life-changing. Alongside food, my other love is travel. Exploring other cultures, whether on another continent or the next city makes me feel alive and feeds my soul. In my Travel section, I share tips and recommendations for eating and playing in some of my favourite spots. I know first-hand how tough finding healthy, plant-based food can be when travelling, so here I’m sharing my faves. I hope this blog inspires you as much as it does me. For any press, sponsorship or other enquiries please email me. Note: My recipes are just that – recipes. They are not intended to form nutritional guidance (I am not a nutritionist) or any sort of ‘healthy eating’ doctrine. They are naturally vegan, gluten-free and refined sugar-free because that’s the way I generally eat. My personal philosophy is about eating more whole foods and embracing the full range of plant-based natural foods which are often underused in the modern world. Although I may sometimes mention that a recipe is high in protein or vitamins etc., this is merely information and should not be taken as nutritional advice.